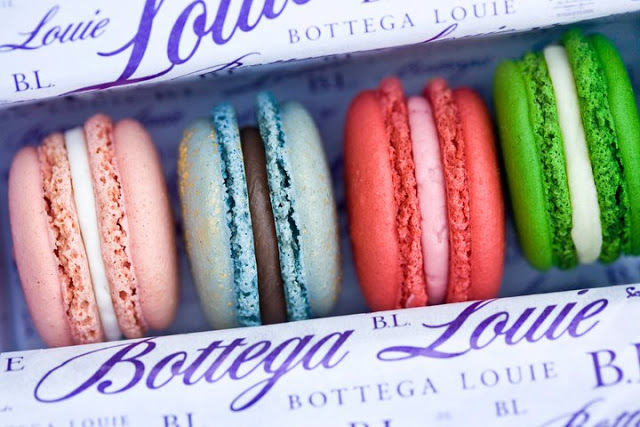 Bottega Louie is one of my favorite places to go in LA. I recently had lunch there for the first time with my niece, Jessica, and was instantly smitten. 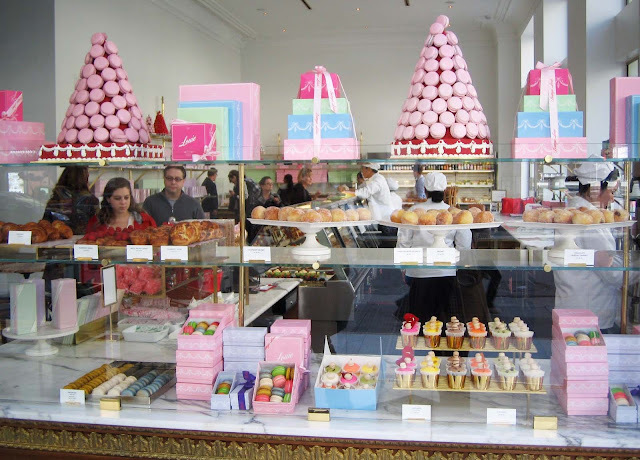 The towers of macaroons and desserts in the bakery are serious eye candy! I also LOVE the packaging design and colors. 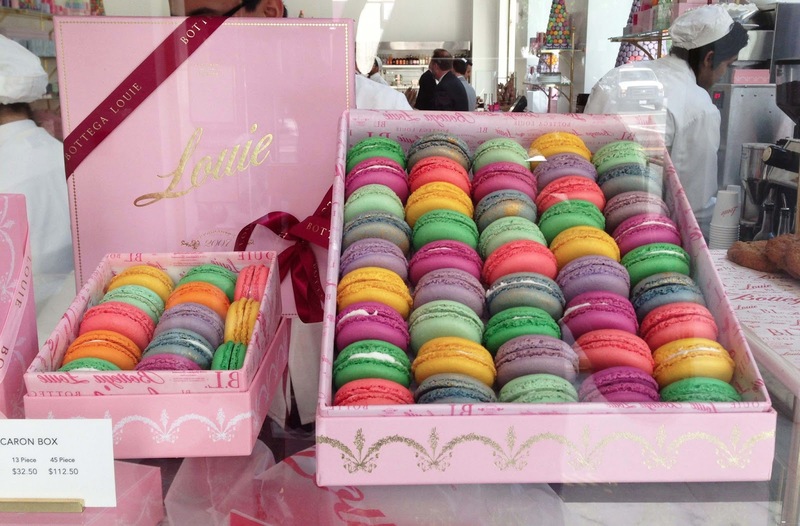 Each box of macaroons feels like a wonderful present! And, isn't that what dessert is, after all? 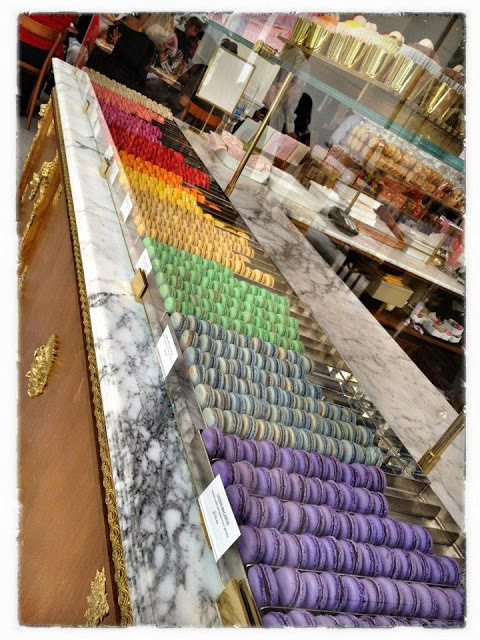 The macaroon flavors are creative and so delicious ... the Salted Caramel was my favorite! mmmm~~~~ these just make me smile!!! !